Sheikh Mohamed bin Zayed is commemorating the milestone visit of Pope Francis and the Grand Imam of Al Azhar by ordering the construction of a new religious building dedicated to inter-faith harmony. The Crown Prince of Abu Dhabi and Deputy Supreme Commander of the Armed Forces is marking the history-making visit of the two religious leaders through the construction of an Abrahamic Family House. 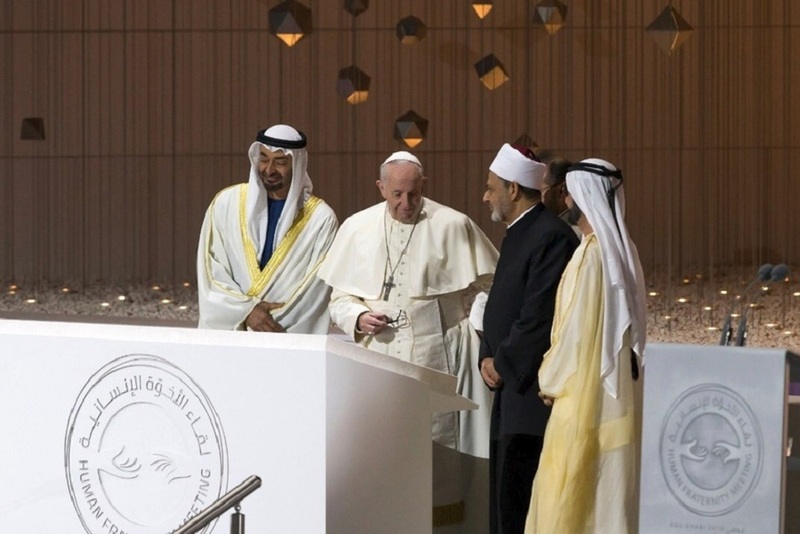 The announcement comes after Sheikh Mohamed and Sheikh Mohammed bin Rashid, Vice President and Ruler of Dubai, signed the foundation stone for a church and a mosque in honour of the visit to the country of Pope Francis and the Grand Imam of Al Azhar, Dr Ahmed Al Tayeb. "It will be inspired by the 'Declaration of Human Fraternity' which was signed by His Holiness Pope Francis, the Head of the Catholic Church, and His Eminence the Grand Imam of Al-Azhar, Sheikh Ahmed El-Tayeb, heralding a new era of rapprochement and amity among the different peoples, communities and religions."